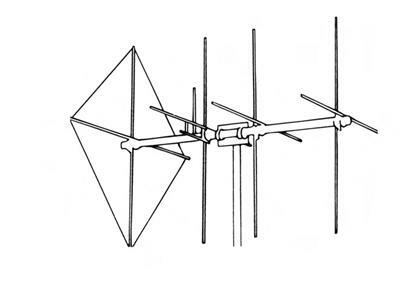 Antenna 10/11 Meter Base, 8-Element Vertical and Horizontal Beam with Screen Reflector. When performance and price are your main consideration, look at the 8-Element Shooting Star. Developed to fill the need for top performance, dual polarity operation, the Shooting Star has a gain of 14dB. That’s like transmitting with 28 times your normal power! The design uses a Boom of 488 cm (16 Feet) with six scientifically-spaced elements and a quad reflector to obtain the best combination of gain and front-to-back ratio. It’s the same design used to bounce signals off the moon! And, it has the MACO 2 KW Power Handling Capability.